Our IT products uniquely use identity information to grant people access to applications on any device at any time, while still enforcing strong security protections. Our platform securely connects companies to their customers and partners. Today, thousands of organizations trust Okta to help them fulfill their missions as quickly as possible. 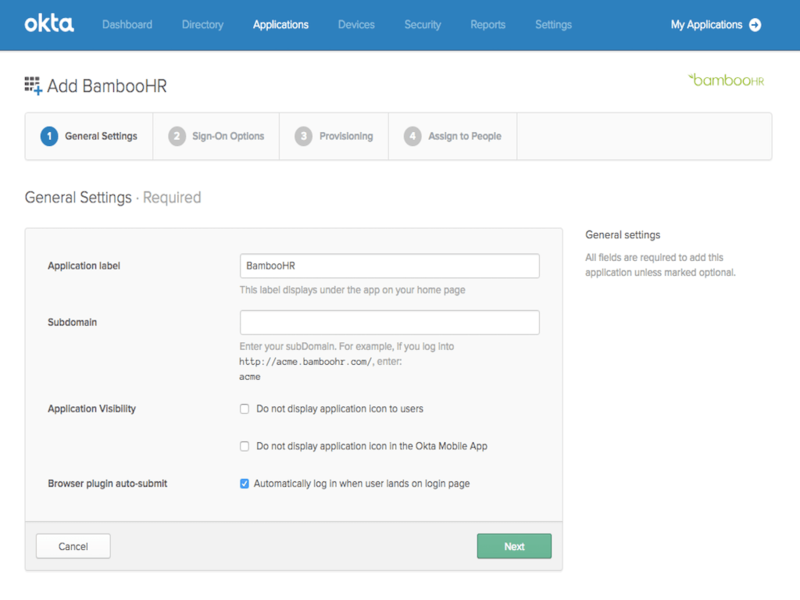 Enterprises that use a human resource management system such as BambooHR often rely on it as the authoritative source of employee data. But it’s challenging for IT to synchronize HR user records between Active Directory and enterprise applications. It only gets harder as more people join the organization, as they change roles over time, as they manually update their own information, and as they leave. 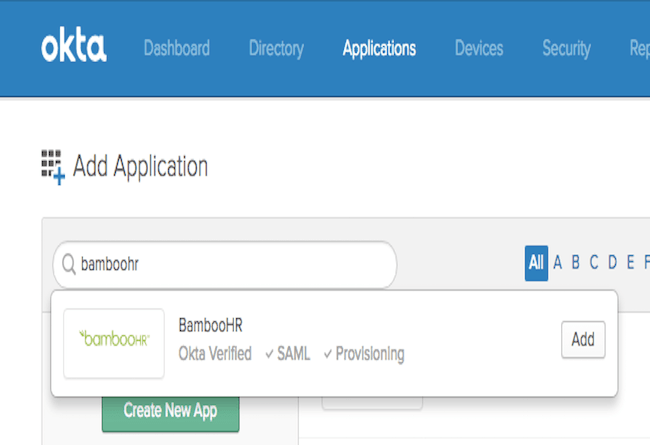 Okta brings identity management and HRM together into a unified system. Now HR and IT can work together more efficiently to bridge the employee lifecycle gap. If you would like to enable provisioning features, you can add extra attributes to a user's profile. 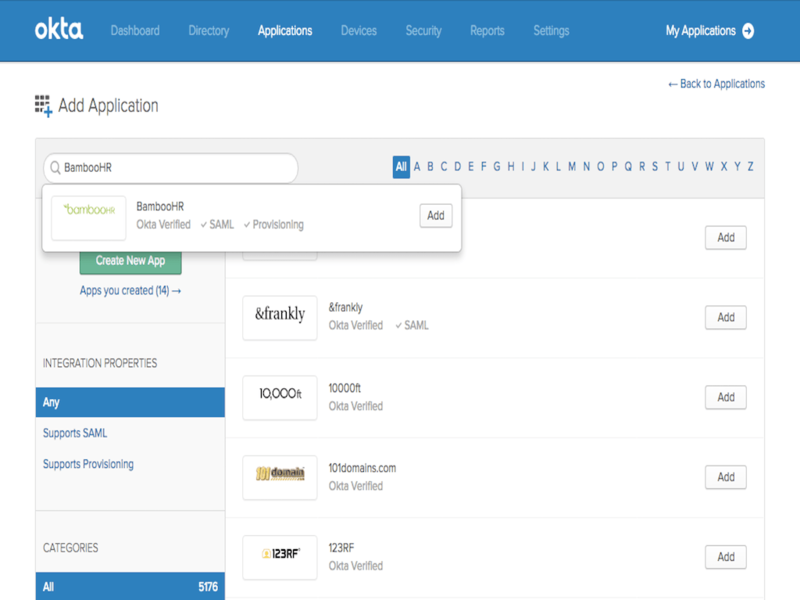 You will check the list of attributes (or add attributes) through Okta. 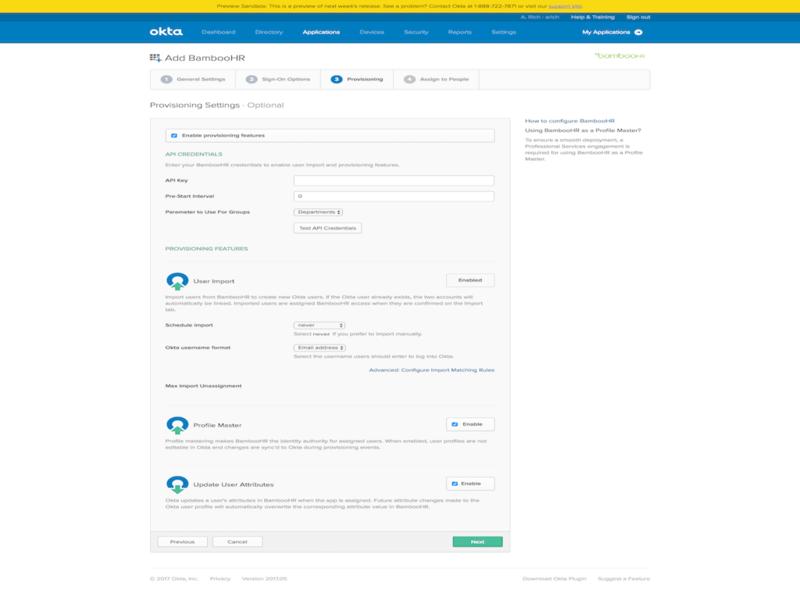 Commonly used fields/attibutes can be found by clicking here. Okta is the foundation for secure connections between people and technology.